We all have our favourite Benefit product; right now mine’s is Porefessional, but I’m hoping with the upcoming release of Hoola Lite this might have some competition. The Beauty School Knockouts Full-Face Makeup Kit contains deluxe samples of Benefit’s bestselling products including Porefessional (7.5ml), They’re Real! Mascara in Beyond Black (3g), They’re Real! Duo Shadow Blender in Naughty Neural (3.5g), Gimmie Brow in 03/Medium (1g), Benetint (4ml), Rockateur (3g) & a tips & tricks booklet. Today I have one to giveaway to one lucky reader! Unless you’ve been living under a rock, you’ve probably already heard of Porefessional. 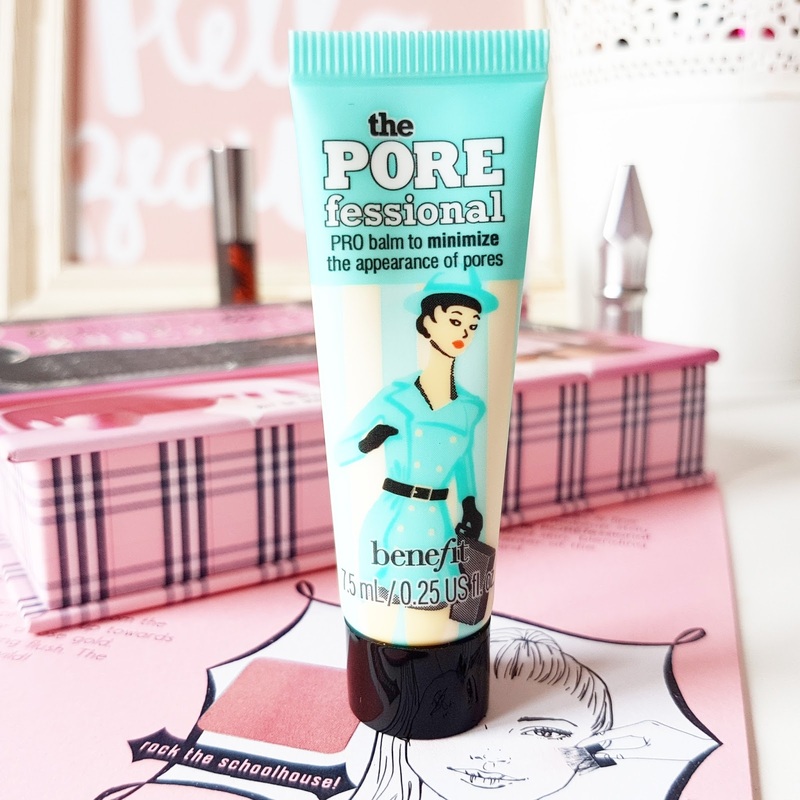 Benefit’s bestselling pore minimising primer also blurs imperfections and keep makeup in place for longer. The lightweight silicon-based balm can be worn alone, under or over makeup. The translucent oil-free formula contains vitamin E and compliments all skin tones. The They’re Real! collection has now been extended by the release of the ‘Double the Lip’ and ‘Duo Eyeshadow Blender’ collection. Beauty School Knockouts contains a deluxe sample of the original mascara and new Duo Eyeshadow in Naughty Neutral with a custom ‘shadowblender’ applicator. The mascara gives a voluminous wide-eyed false lash effect and although personally, I find it hard to remove and the spiky wand a little on the dangerous side, this award-winning mascara has been crowned the nation’s favourite for several years running, however, I’m not sure whether or not it has relinquished its crown. 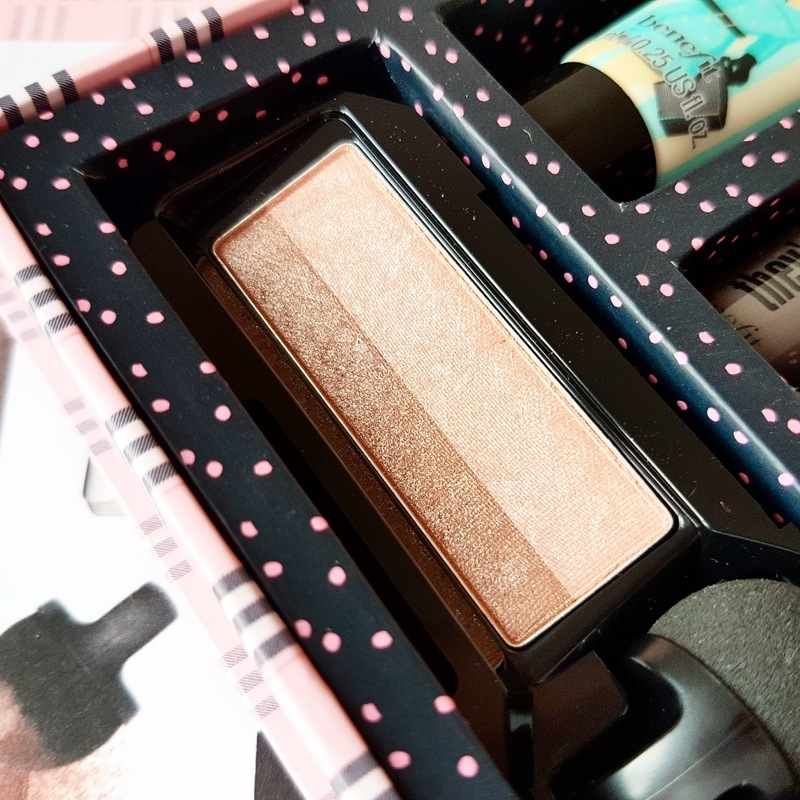 As I mentioned, the Duo Eyeshadow is one of Benefit’s newest launches. It claims that with one easy step you can apply both shades perfectly; the lightest on the lid and the darker into the crease. Benetint is a rose-tinted lip and cheek stain. It’s incredibly long lasting and gives a lovely flush of colour to wherever you wish to apply. Rockateur is rose gold cheek powder and Gimmie Brow is a volumising tinted fibre gel, that gives brows natural-looking definition and fullness. I’m giving one lucky reader the chance to win the Beauty School Knockouts Full-Face Makeup Kit by entering using the Raffelcopter widget below. Unfortunately, this is a UK ONLY giveaway and there will only be one winner. Those using multiple accounts will be disqualified as will anyone who fails to complete all mandatory fields. The giveaway will be open from March 27th 2017 to April 24th 2017. If you agree to these terms and conditions, please follow below and good luck! "Calming Lavender Hand Products from The English Soap Company & Our Tiny Bees"